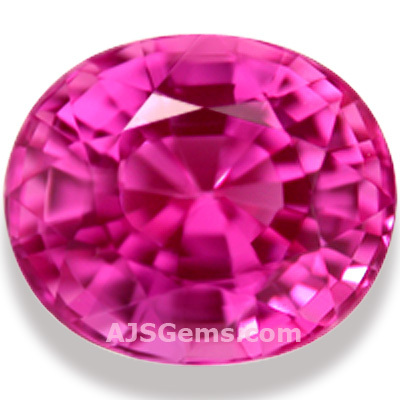 A number of different gem varieties occur in one or more shades of pink, including ruby, sapphire, spinel, tourmaline, rhodolite garnet, kunzite, morganite and pezzottaite. You will find the most vivid pinks in sapphire and spinel, especially in the rare Tanzanian stones known as Mahenge spinel. But you will find the widest range of pinks in tourmaline. For pink gems in large sizes, kunzite and morganite are your best choices. Here is a brief pictorial tour through the world of pink gemstones, including some less familiar pink gems that you might not have considered. Ruby and Sapphire: these are in fact the same mineral but the term ruby is reserved for the red color of corundum. Some ruby is pink red, while pink sapphire ranges in color from violet to magenta to deep pink and baby pink. Spinel has long been known for pastel pinks and violets, but in 2007 a rare deposit of neon pink-red spinel was discovered in the Mahenge region of Tanzania. 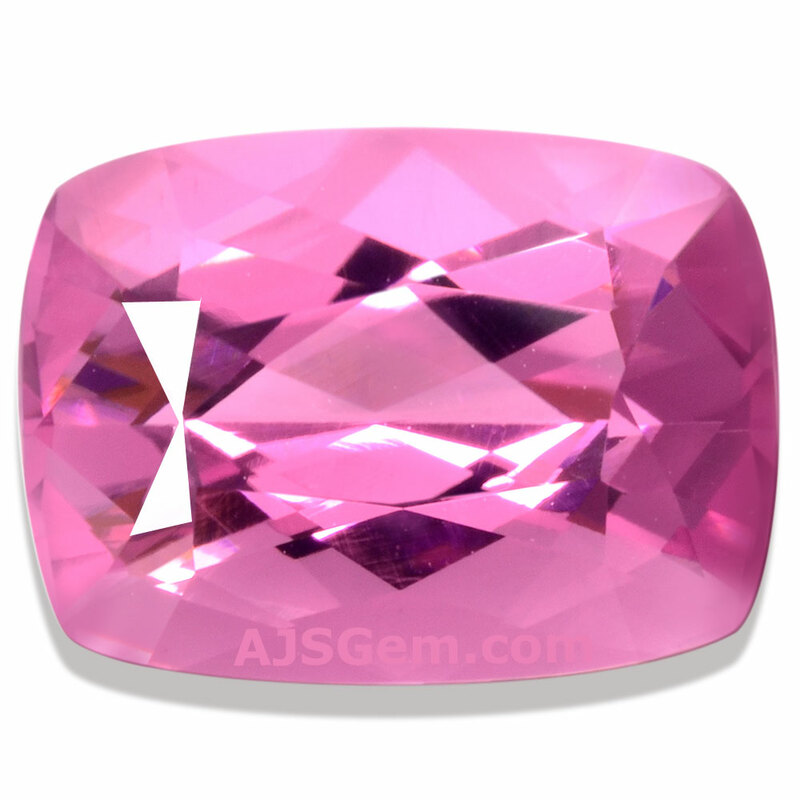 These are among the most saturated pink gems known and there is tremendous demand for these rare stones. Tourmaline: if you're looking for a particular shade of pink, you'll likely find it in pink tourmaline, since no other gem variety exhibits the remarkable variety of color ranges. You'll find every shade of pink and every saturation level in touramline, including interesting bi-color and tri-color stones. You will also find a good range of shapes and sizes in tourmaline. 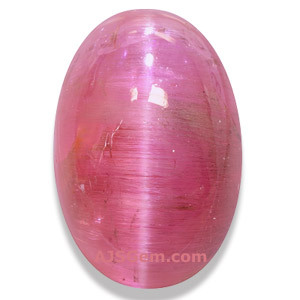 Kunzite: if you're looking for a very large pink gem, kunzite is your best choice. 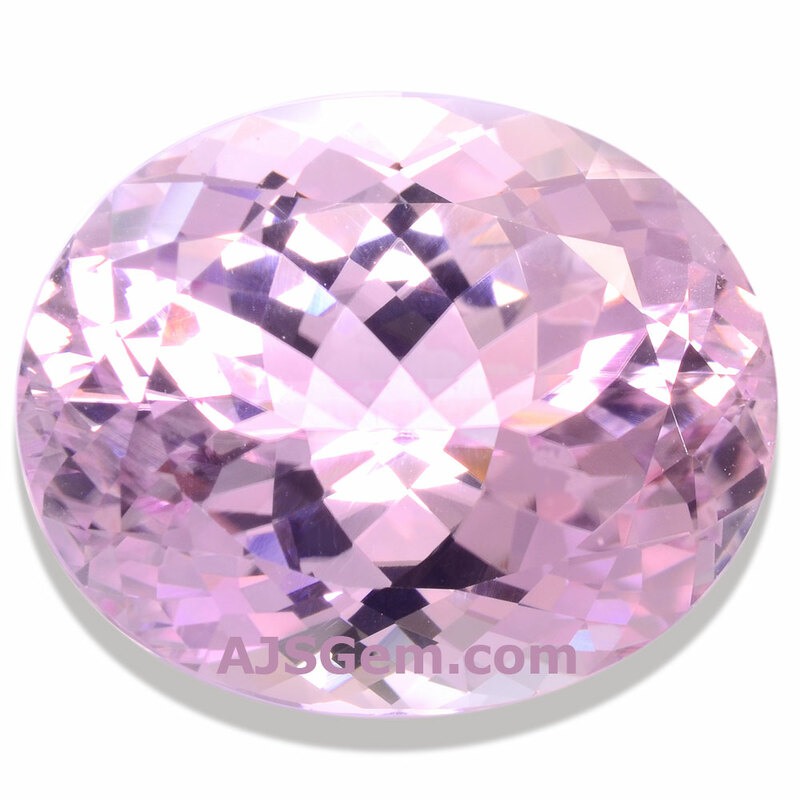 Kunzite is usually found in a light pink to lavender, though occasionally more saturated colors are found. A form of spodumene, kunzite can often be found in sizes over 10 carats, and stones in the 20-40 carat size with good clarity are known. 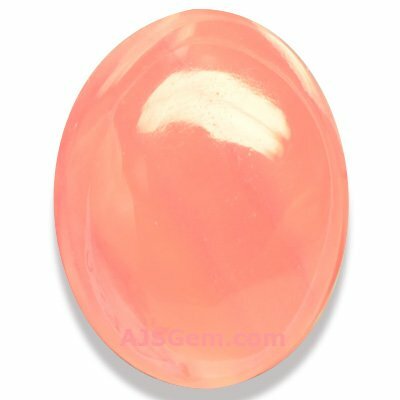 Morganite: the pink form of the mineral beryl occurs in light pink to coral pink and orange-pink. Like kunzite, morganite can often by found with very good clarity in larger sizes. 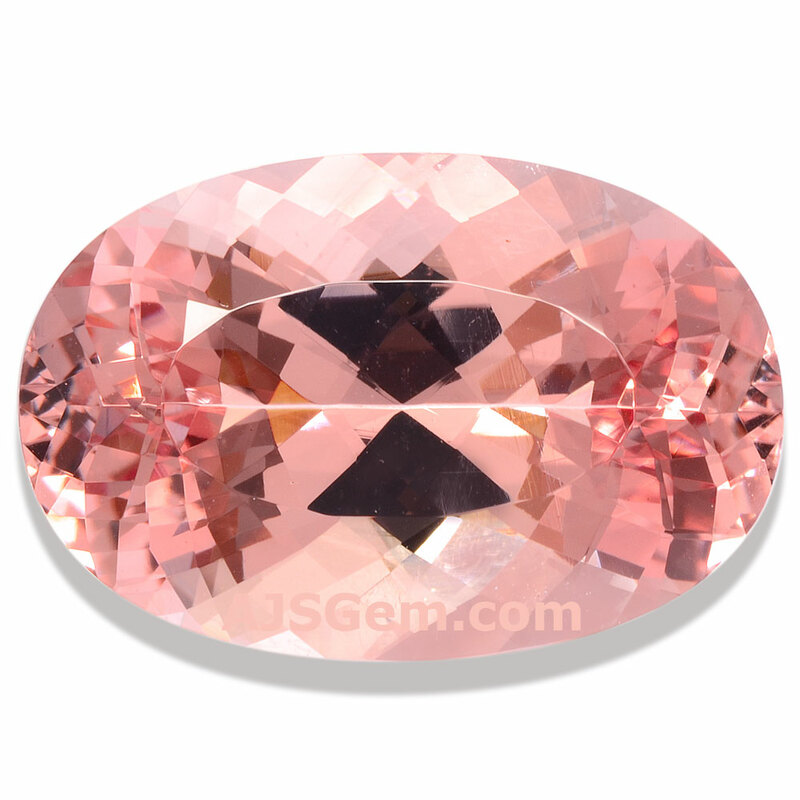 But morganite is a harder gem, with a hardness rating of 7.5 to 8 on the Mohs scale (compared to 6.5 to 7 for kunzite). Learn more about morganite. 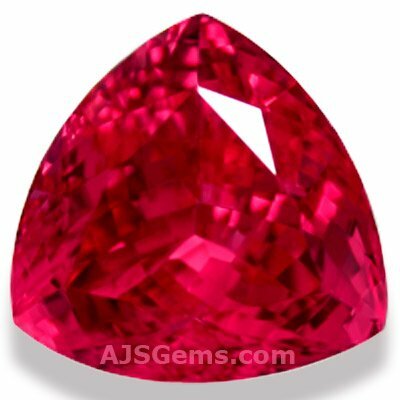 Pezzottaite: if you would like to own one of the rarest pink gemstones, pezzottaite is a good candidate. Only recently (2003) recognized as a a distinct mineral, pezzottaite was discovered in Madagascar and named after an Italian mineralogist. Most pezzottaite is found in small sizes, under 1 carat, and most specimens have significant inclusions, sometimes forming cat's eyes. Rhodochrosite: a manganese carbonate that is found in silver mines around the world. The finest material comes from the Sweet Home Mine in Colorado. Colors range from light red to pink and coral, and tranlucent specimens are valued by collectors.